The thought of standing up on stage in front of thousands of people is enough to make some of us sick to our stomachs. But for this toddler, standing on stage reciting every word of Disney's popular The Little Mermaid tune - it's a piece of cake... And she was just three year's old at the time! 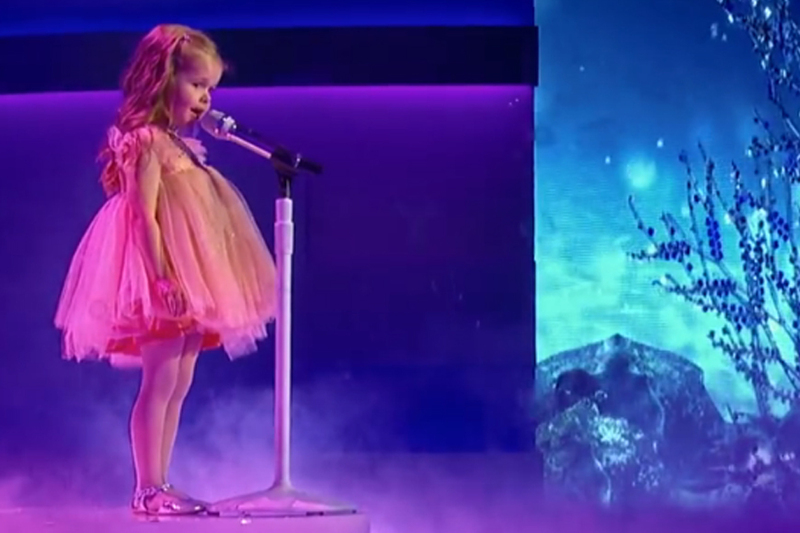 Participating in the US TV show, 'Little Big Shots' early in 2017, the little girl named Claire Ryann absolutely NAILED 'Part of Your World', the most memorable song sung by everyone's favourite mermaid Disney princess. The television program, Little Big Shots provides opportunity for talented and unique youngsters to showcase their singing, dancing and performing skills - and is hosted by Steve Harvey, and produced by both him and Ellen DeGeneres. Well, it seems little Claire's talents certainly captured the hearts of everyone, and over the past year has created some fantastic videos of other popular songs, with help from her Dad and family. Now at four year's old, Claire has covered songs from Disney's Moana, Tangled, Mulan and even Beauty and the Beast.